Saving money happens to be one of the vital steps when it comes to managing your personal finances. You can gradually claw your way up from a pretty awful financial situation to one that is more neutral by adopting a few ways to save money. You should set a goal to put aside at least 10% of all the money you earn. 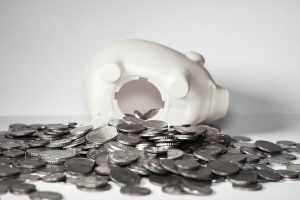 Living from paycheck to paycheck might make this a bit difficult, but by doing the following things, you will be able to save that money. It is a given that we have utilities such as energy bills to pay for. This is one of the unavoidable things in life unless you happen to live in a rental where all of your utilities are included in the rent, and even then the rent will just be higher to make up the difference. For the rest of us, we have to pay multiple bills every month if we want power and gas. However, if you live in a state that has been deregulated, such as Texas, you might be able to save more on your power bills than what you can save just by turning lights off when you leave a room, using the CFL light bulbs, and having energy efficient appliances. You can check online for Texas electric rates to see what the rates offered by the different energy providers are in your area. Because they need to be competitive in order to get your business, some will have better rates than others. This means that you will be able to pocket more of your money each month. If you don’t live in Texas, check to see if your state has been deregulated or not. You might have a 9 to 5 job that you go to every day. That doesn’t mean that you can’t moonlight and get a second job. This is a good way for you to make sure that you have access to money in a pinch. One job that you might consider if you are in a city and somewhat athletic is as a food delivery person. You can deliver the food via bicycle and this can get you the money you need to make it through. Typically, food delivery persons will earn a certain amount for each delivery that they make. If you happen to surpass your quota, the rate you earn for deliveries beyond that will increase. You will also get tips in cash. One way that you can save more money every day is to avoid doing any sort of window shopping online. This is an activity that doesn’t always have a happy ending when it comes to your financial situation. Any shopping that you do online should be approached with a clear cut goal in mind as well as with a strict budget. It can be easy to justify any purchases when you are doing your shopping online. This is because you tend to pay with your credit, which means that you won’t actually see the money that leaves your account. You can get around this by using a prepaid credit card or PayPal. Aside from saving you a bit of money, doing your online shopping this way can help prevent people from stealing your identity. If you are out shopping at outlet malls, don’t be afraid to go to the information booth to ask for some coupons that will give you even more savings at the typical retail stores. You can also look for things like discount codes, coupons, and information regarding designer sample sales. If you are looking for those outlet level bargains while you are online, you also might want to try Overstock.com. Doing this will actually translate into a credit score that is higher. Keeping your low balances shows that you are good at managing your credit. Lenders tend to frown at things like having a plethora of credit cards and them all being maxed out. At the same time though, don’t go cancelling your accounts that don’t have a balance. If you do close them, this will make your debt to income ratio rise. This is something that can be detrimental to your credit score.